Philadelphia lawyers call for change after 17 people died when a duck boat in Missouri sunk in choppy waters. Duck boats are popular with tourists, but they've also been involved in dozens of deaths. At least 26 people have been killed in incidents involving duck boats over the last 20 years in the United States, including Thursday's deadly sinking in Missouri, "Today" reported. 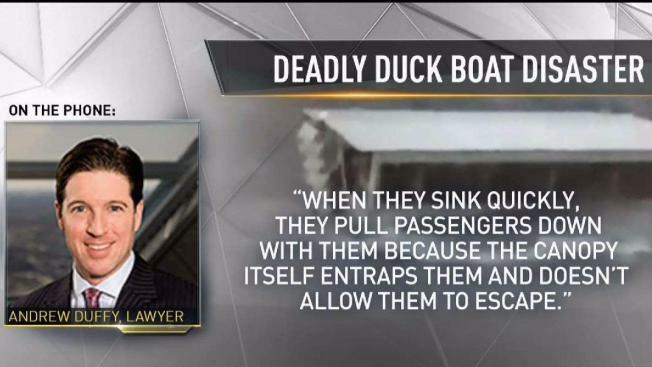 A lawyer who represented victims in a duck boat crash in Philadelphia in 2010 says the number of deaths is higher and that more than 40 people have died in duck boat accidents. The "boats" are amphibious vehicles made by modifying military trucks. The ones in use today were built for use in World War II and were named with the acronym DUKW, which led to the nickname "duck boats." Duck boats were used during the Normandy invasion on D-Day to bring troops ashore, and some were used again in Korea. In recent years some businesses have re-purposed those same, decades-old vehicles into sightseeing attractions that drive from land into rivers and lakes. The boats sit low in the water, with waves lapping just outside the boats' windows. In 1999, 13 people drowned while riding a duck boat in Hot Springs, Arkansas. That boat sank so quickly that no one aboard had time to put on a life jacket, the NTSB reported; its investigation found the boat had been inadequately maintained. In 2010, a trash barge collided with a duck boat on a busy part of the Delaware River in Philadelphia. 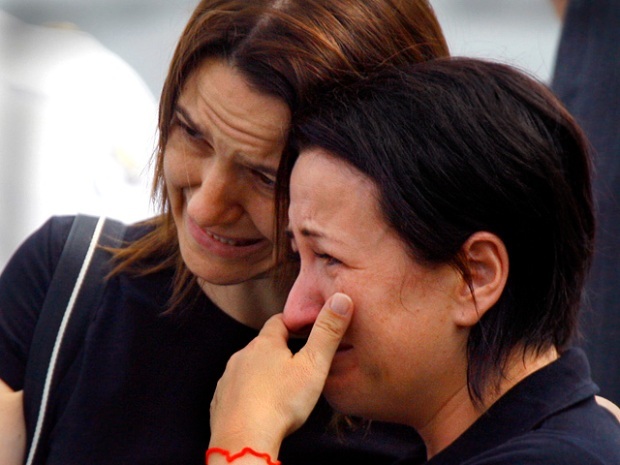 The 37 people aboard were sent into the water; two people, tourists from Hungary, died. The company that ran the Philadelphia operations, Ride the Ducks International, stopped operating in Philly in 2016 after another fatal crash sent its insurance costs soaring. In May 2015, a duck boat struck and killed a visitor from Texas who was crossing a city street. The next year, in Boston, a woman was killed when she was hit by a duck boat while riding her scooter on Beacon Hill. Five college students were killed in 2015 when a duck boat crashed into a charter bus in Seattle. The victims were on the bus. 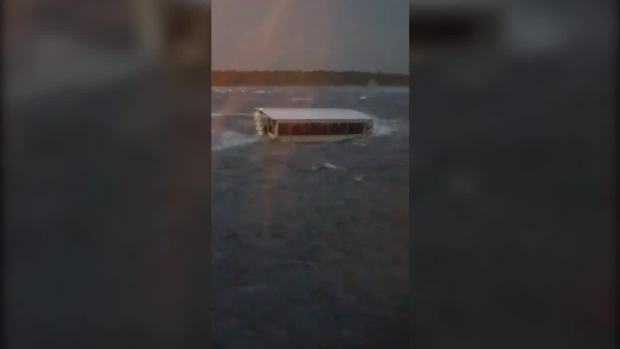 The company that operated the Branson, Missouri, ride that sank in a storm Thursday issued a statement reiterating its focus on safety. "The safety of our guests and employees is our number one priority," the statement read. "Ride the Ducks will be closed for business while we support the investigation, and to allow time to grieve for the families and the community." But a lawyer who represented the Philadelphia water crash victims said Friday that's not good enough. The vehicles are "deathtraps operating on land and in the water," Robert Mongeluzzi said, reiterating his call for a national ban on duck boats. “After this tragedy, we again ask, What does it take for tour operators to realize that they cannot value profit more than human life and public safety?" Mongeluzzi said in a statement.